There aren’t too many people in this world that would have the nerve to cover a song by John Lennon. I’ve watched as contestants on various singing competition shows try it…and it can easily end any attempt at fame. And so that brings me to the latest attempt – Shannon MacDonald’s Tomorrow Never Knows. Most people know Shannon as ‘The World’s Greatest Beatles Artist’, a title given to her by the Lord Mayor of Liverpool. So one has to wonder, why would her first attempt to make her mark in the music industry be covering a Beatles’ song? The first thing I noticed when I set out to hear this song for the first time is that it’s 7 mins 38 sec in length. The original version of the song was just 2 mins 57 sec. But that initial feeling of ‘I’m going to fall asleep before I hear the end…” quickly went away as I found that the song has the magical ability of wrapping around you like a comfortable blanket and taking you to your happy place. There is an absolutely peace about this cover that gives you that inner reconciliation like meditating on a high mountain top in the warmth of the sun and a gentle breeze gliding across your cheek. Absolutely, everyone should take a chance and give this song a listen…and come back here to let me know the feeling that it inspired in you. I think it will truly be a grand experience for anyone. Shannon‘s cover of ‘Tomorrow Never Knows’ is currently doing a rapid climb up the charts on ReverbNation and is being noticed by many Beatles’ experts and DJ’s across the U.S..
For those inquiring minds – BAMFs = Bad A** Mother F***ers. The song is available for download on iTunes and Amazon. The Lennon Examiner – Shelley Germeaux recently interviewed Shannon about her music and this song. The article is here. 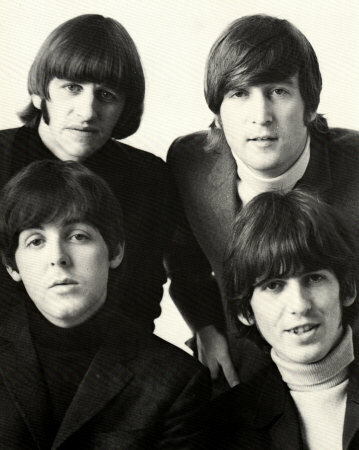 The history behind the writing of the original Beatles version, can be found here.